When it comes to potency, people often assume the stronger the better. However, a new study found that people who smoke highly potent marijuana daily have an increased risk of developing psychotic disorders, like schizophrenia or paranoia, Live Science reported. For the study, researchers analyzed questionnaires from more than 1,200 people without mental health conditions living in 11 different cities. Surveys included questions about cannabis use, including how frequently people used marijuana, the age they first started using the drug, and the type of cannabis they used. Then, this data was compared to information from 900 people living in the same cities who were diagnosed with psychosis. Scientists found that daily marijuana users were three times more likely to experience first episode psychosis compared to those who never got high. First episode psychosis simply refers to a patient who experienced a psychotic episode or psychotic symptoms for the first time. Those who used high-potency weed every day were five times more likely to be diagnosed with first episode psychosis compared to non users. This research may cause some to rethink how we view marijuana use. Many states have decriminalized recreational weed use, and an increasing number of people turn to the drug for medicinal benefits. For example, some cancer patients and people with chronic pain may be prescribed marijuana to manage their conditions. 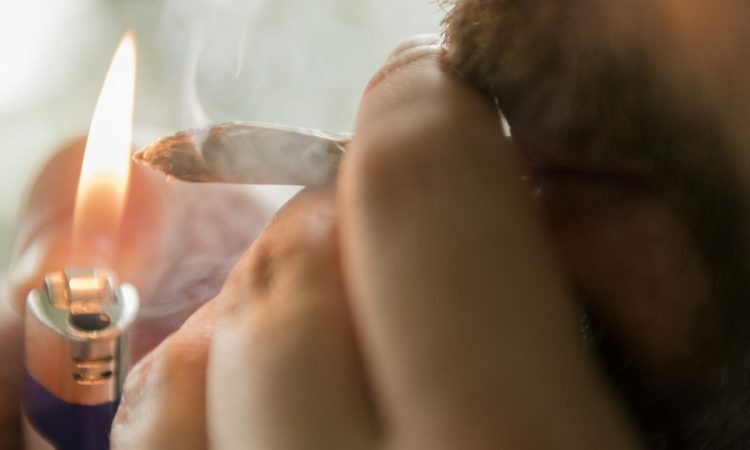 Study co-author Dr Marta Di Forti of the Institute of Psychiatry, Psychology, and Neuroscience at King’s College London, UK, believes this research should be considered when determining whether cannabis use should be legalized. “As the legal status of cannabis changes in many countries and states, and as we consider the medicinal properties of some types of cannabis, it is of vital public health importance that we also consider the potential adverse effects that are associated with daily cannabis use, especially high potency varieties,” Forti said in a statement. Of course, this study only shows a link between cannabis use and psychosis, not that smoking weed causes mental health conditions. However, prior research has shown that cannabis use does come with consequences, like memory loss. And it’s important to remember that smoking weed isn’t exactly safe since its long-term impacts are still unknown.